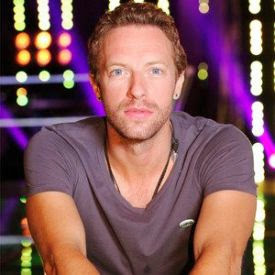 Chris Martin was the guest on DJ and broadcaster Zane Lowe’s BBC Radio 1 show on Thursday (4) , and revealed that Coldplay is already working its next album. Even without permission to give details, the singer said that the work is still in the half, but the title has already been defined: "A Head Full Of Dreams". "It's our seventh album and the way we are facing is like the last book of Harry Potter or something. I'm not saying we will not do anything in the future, but this is the closing of a cycle. It was great to get out the 'Ghost Stories' and return to the studio. Now, we are doing things that sound very different and is a great time for us to be in this band, "said Martin. He follows and explains better what he means by "last album": "We need to see it as the last but not would invest all our efforts into it, you know what I mean?". To the delight of fans around the world, the voice of "Magic" said that unlike "Ghost Stories", the next album will be supported by a promotional tour.